Are you looking for an activity that you can enjoy with your kids this summer? 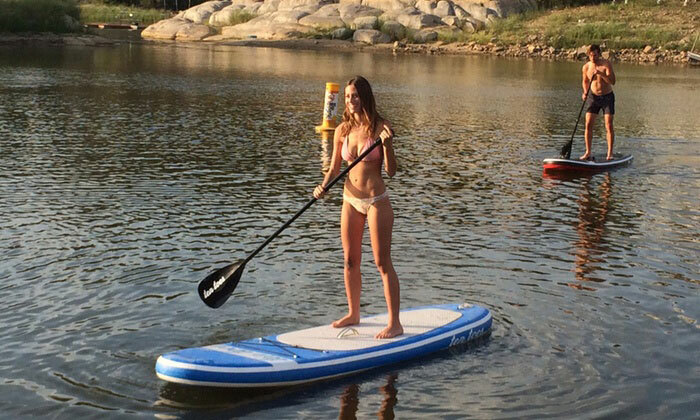 Well, buy them paddle boards. This type of surfing is entertaining and a great physical activity that you get to enjoy with your children during your bonding moments. 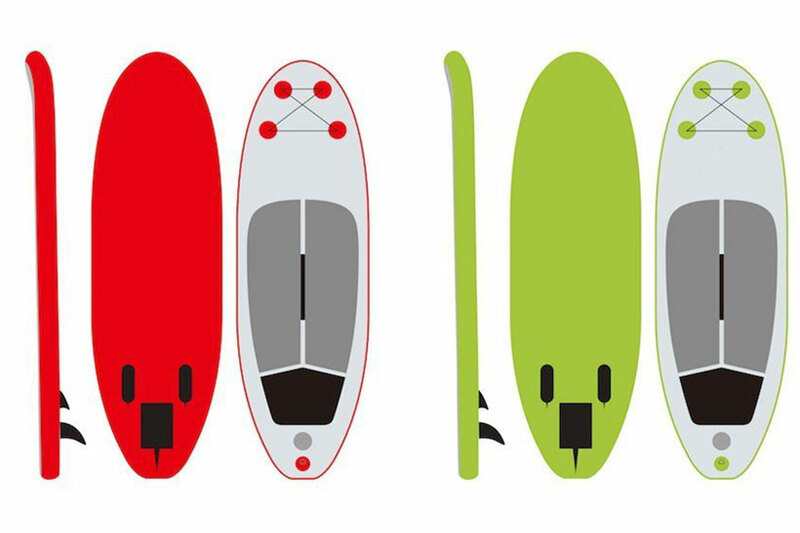 All you have to be keen on in the buying process so you can be able to buy the best paddle boards for your kids. 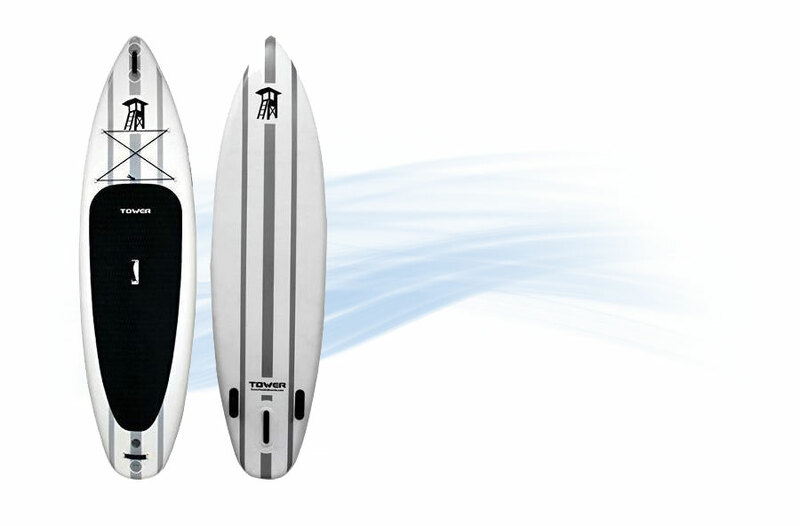 We have rounded up six of the best inflatable stand up boards that are great for children to take to the water. 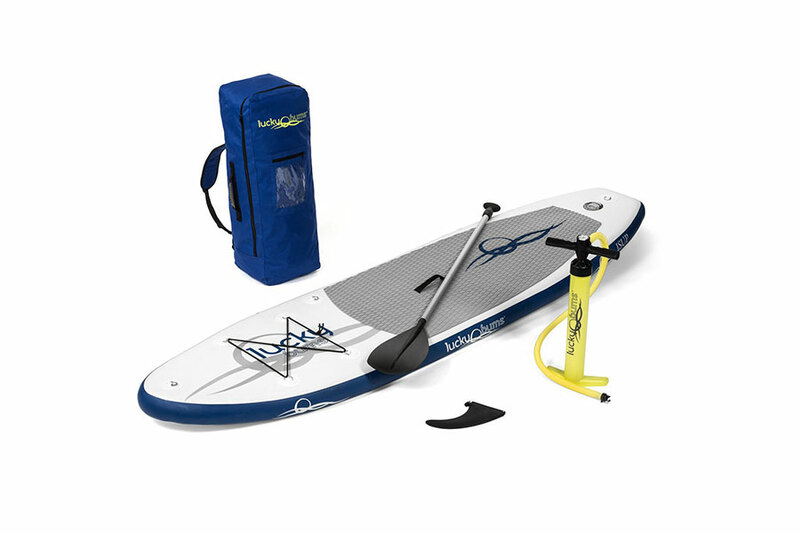 This is a great paddle board for kids as they are designed with a retractable fin that easily folds into the bottom part of the board hence making it easy to work with. 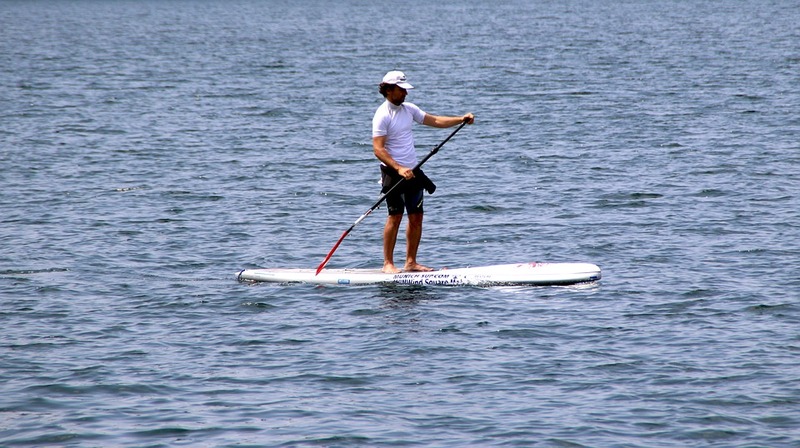 The paddle board is also made in light weight which makes it easy for the kid to carry around. Its weight measures 28 pounds which are around 12 kilograms. The item can withstand a child that weighs up to 59 kilograms which make it suitable for all kids. 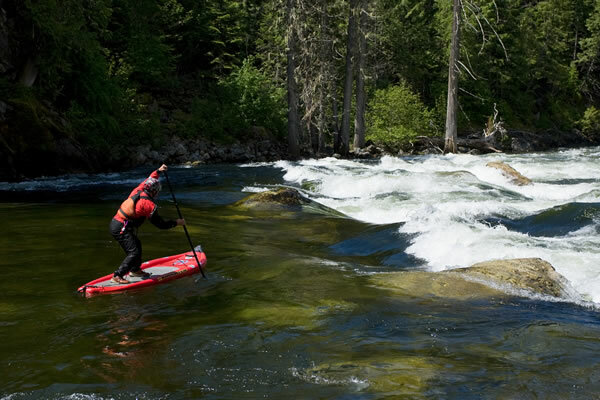 Durability is guaranteed as the paddle board is manufactured using the best and durable high-density polyethylene hence does not crack or fade from the exposure of sunlight. 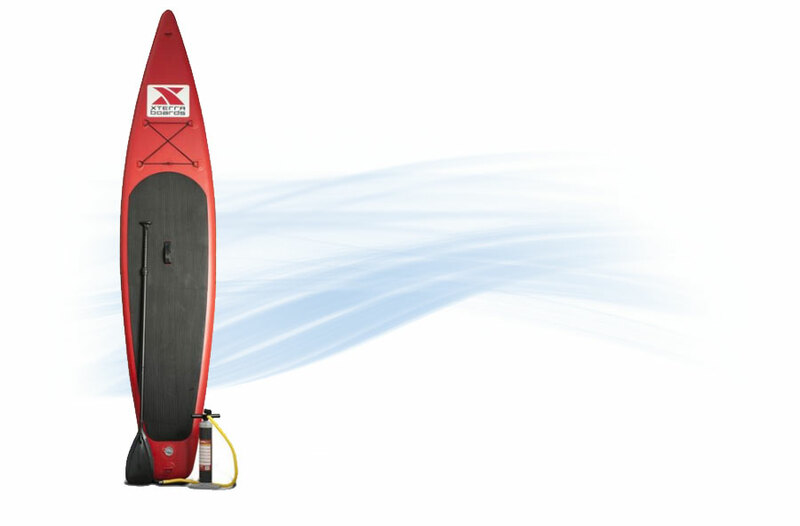 It has a sup paddle that is adjustable from 64 to 72 inches. The paddle board measure around 8 ft x 2 inches x 29.5 inches x 4 inches. The board also has a novice rider weight of 180 pounds for the people who are more experienced in riding the board. It is packed with three removable fin thrusters hence making it quite efficient. 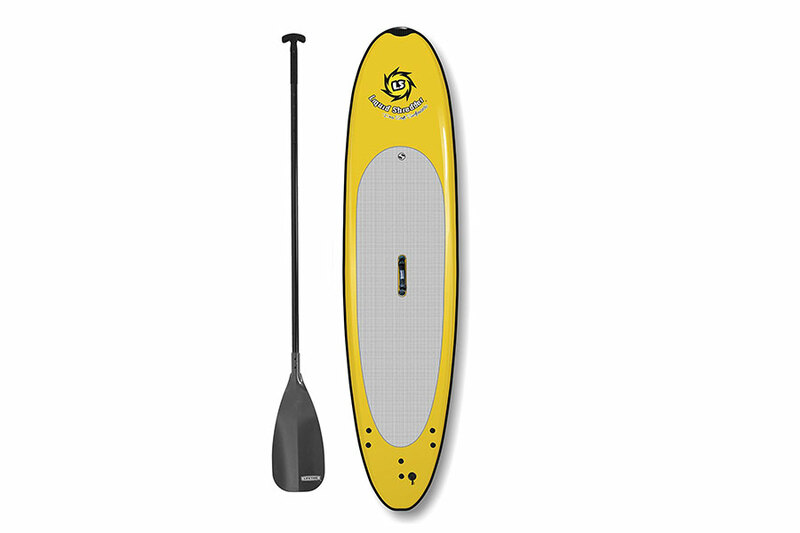 It is manufactured with a dual aluminum stringer which increases its strength and durability.The paddle boards have a patented soft vinyl outer cover which is laminated and not easy to delaminate. Is has a comfortable rider footing area which has comfortable EVA deck pad and easy to fasted to the foot. This is another great board that is suitable for kids as it has less weight making it easy to use and move around with. 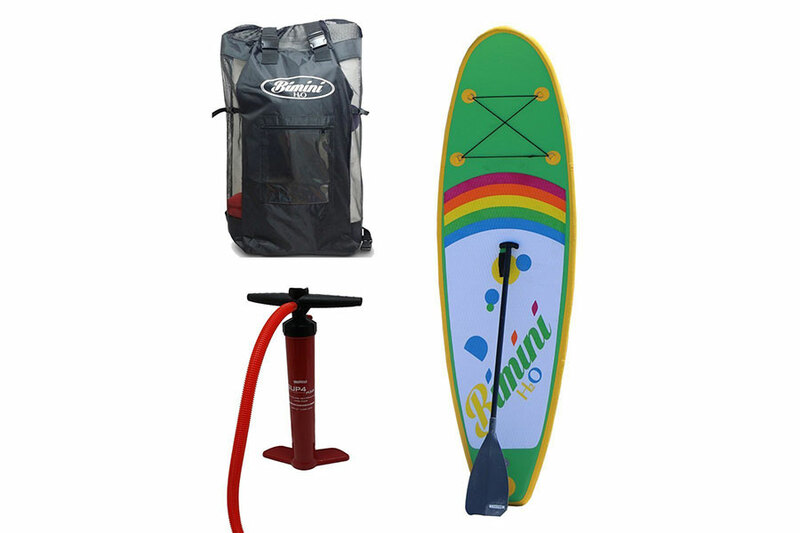 The paddle board is easy to assemble as it comes with all necessary tools required including a pump and a storage bag for carrying around with as well. You will not need a big space to store this board as ones the kid is done riding they just deflate it and carry it with the bag. The paddle board is also set with d-rings which are located ahead of the foot pad hence making it suitable to use with iSUP kayak seat. 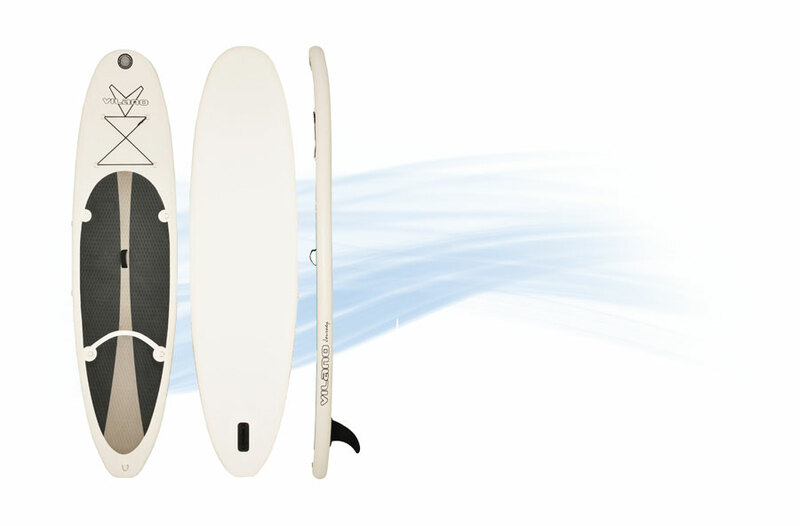 The paddle board is designed in 9 ft and 4 inches thick which are suitable for keeping your child floating on the water. The board is quite durable and rigid as it is made using the best and first grade 1100 PVC tarpaulin material making it strong such that it does not fold when you fully inflate it. 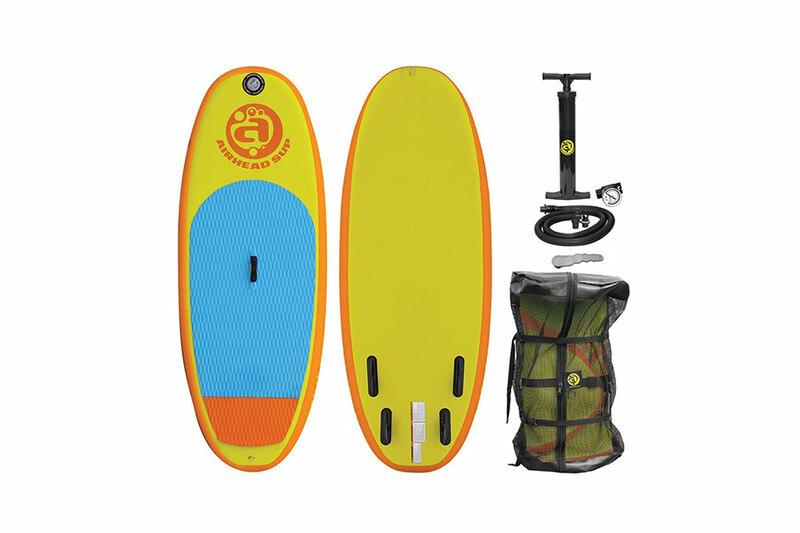 The paddle board has a large EVA non-skid top that is made in a way that it increases the kid’s stability and ensure safety as well.The board is easy to carry around too. 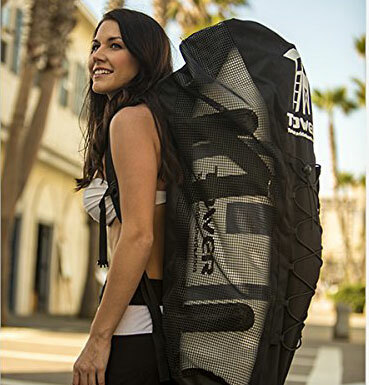 Other accessories that are packed with the board include an ankle leash to support the feet on the foot pad, a pump, and a backpack for carrying it. The board is easy to inflate as it takes only five minutes or less to do so. The board does not necessarily require a lot of storage area as it measures 9 ft x 30 inches x 4 inches. The board measures around 7 ft x 6 inches x 75 x 75 and is suitable for kids with weight of up to 120 pounds which are around 14 to 55 kgs. 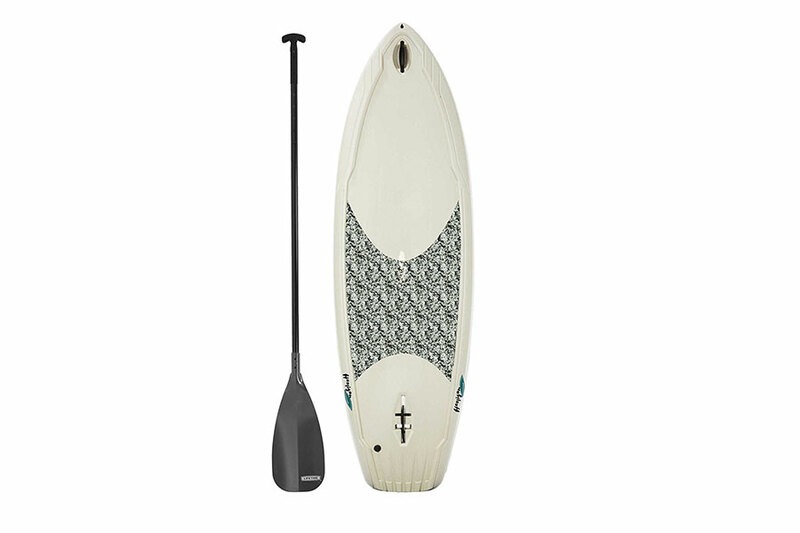 The board’s paddle comes with four fins which are fixed on the boards and weighs 2 ft x 3 inches and 2 ft ¾ inches. 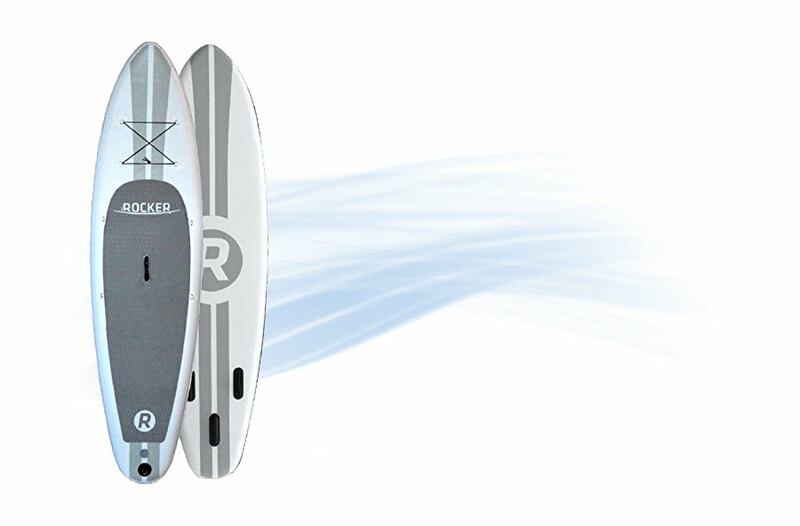 The other accessories packed with the board include an EVA transaction pad that has a tail kicker, a stainless steel tow ring a pressure pump for inflating and a repair lit as well. 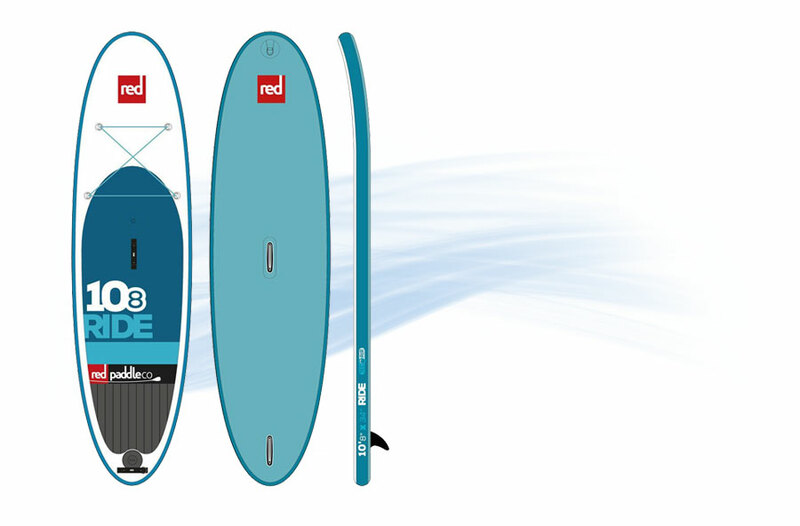 The board measures 7.7 ft x 28 inches and 6 inches in depth and comes in a range of different colour choices. 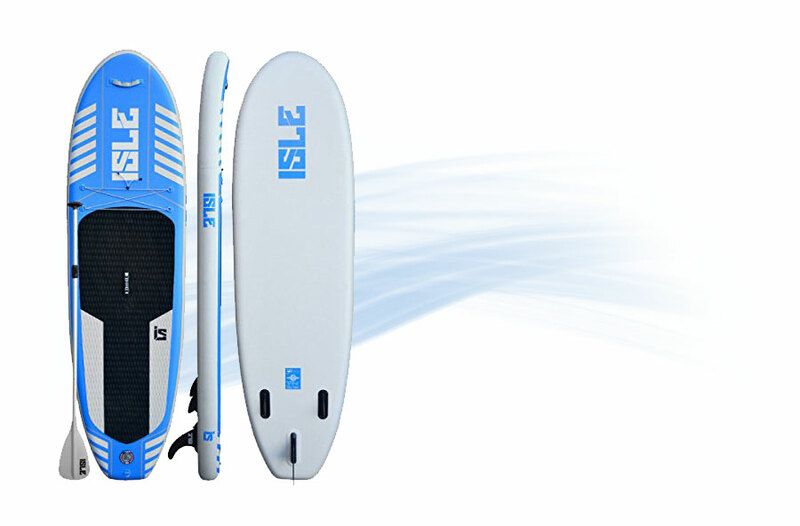 The board is made with SUP inflatable material. It is quite durable as it is manufactured with double wall drop stitch material hence does not peel or get dent when fully inflated. It is easy to carry around as it only weighs 22 pounds and can withstand a person who weighs around 176 pounds. 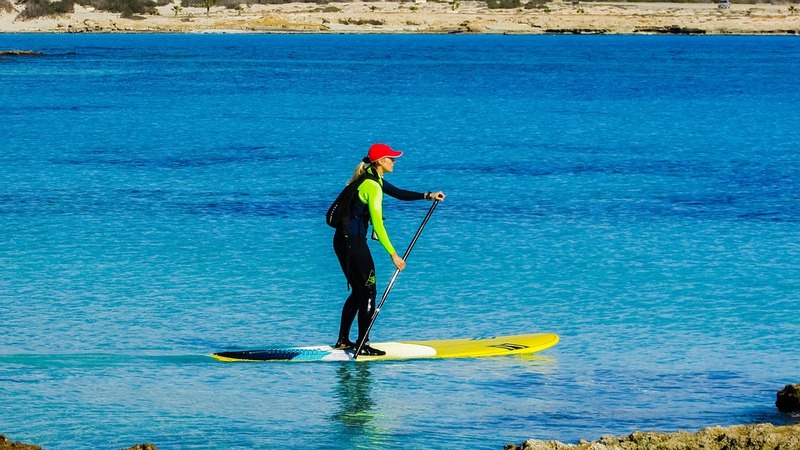 Tips to follow when buying paddle boards for your kids, make sure you read our Guide to Stand Up Paddle Boarding with 10 top tips. Kids are smaller and have less weight as compared to adults. Therefore it is important that you buy a device they will be easy to use without straining all their energy. 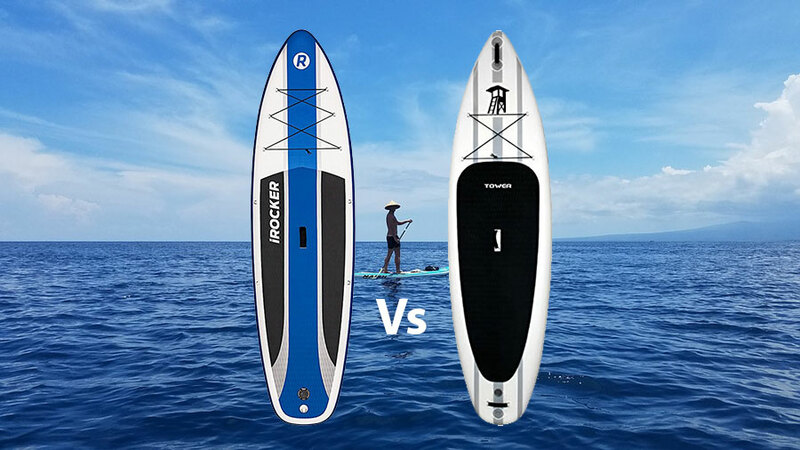 It is easy to select the best paddle board for your child as they are sold in sizes, and you can also ask for help from the dealer to help you choose the suitable board. Unlike adults, kids tend to play a little bit more. Therefore if you buy a board that is not of high quality, you would keep on going back to the shop to purchase new ones. Therefore invest in a durable device that will last for long. Some of the best paddle boards for your kid are inflatable, soft tops and plastics as they are not prone to scratches and dent. Kids don’t have much experience with riding a board, and therefore some boards such as exposy surf are not suitable for them. To be on a safe side buy your children all purposed boards that are easy to use even for the people who are less experienced. 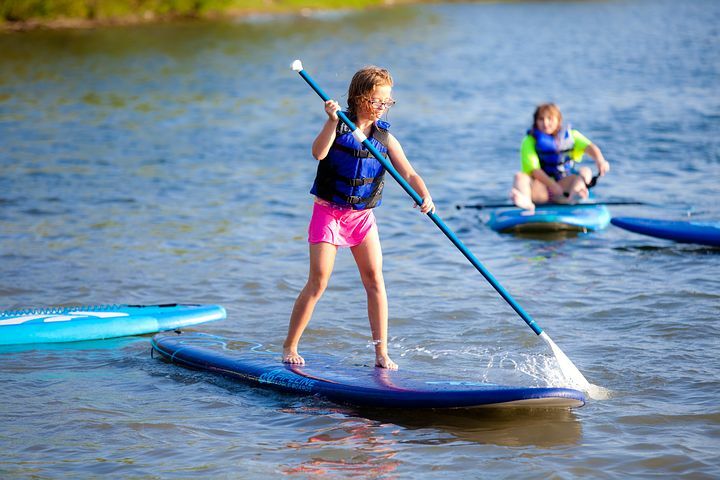 The above-discussed paddle boards are the best boards suitable for kids especially those who are learning how to use a paddle board for the first time. They are easy to use and easy to carry around as they are inflatable and you can always deflate them for ease storage and carry too. 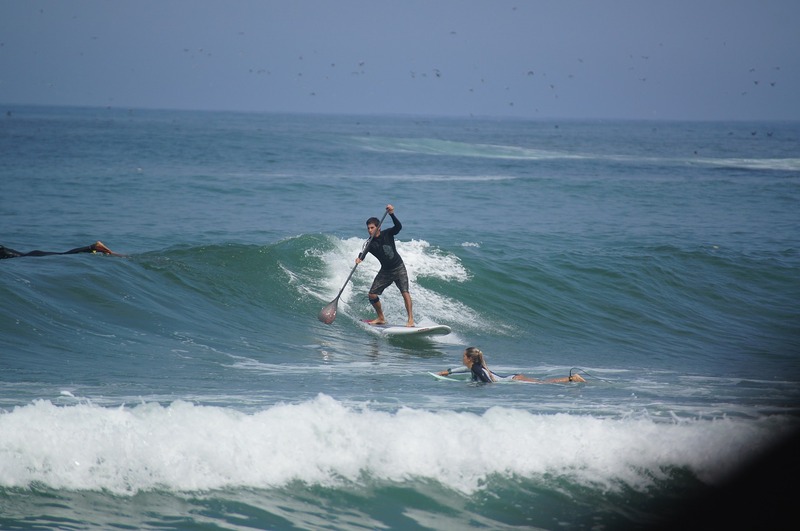 For beginners, it is important that you hire someone who is experienced to teach your kids how to use the boards or you can as well show them at home before they start to use them in the oceans or seas.